With the approaching start of the Atlantic hurricane season June 1, the Internal Revenue Service is encouraging people to safeguard their records. There are some simple steps that can help individuals and businesses protect financial and tax records in the event of hurricanes and other disasters. Many people receive bank statements and documents electronically. This method is an outstanding way to protect financial records. 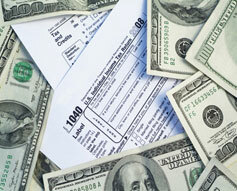 You can scan important tax records such as W-2s, tax returns and other paper documents onto an electronic format.